The merger of two US trucking companies Knight Transportation and Swift Transportation results in the creation of the largest truckload fleet operator in North America. The company is on track to reaping the synergistic benefits from the merger. 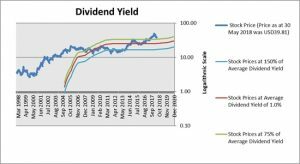 The combination of synergistic benefits and attractive valuations give this stock good upside potential. In April 2017, Knight Transportation and Swift Transportation announced that they will merge to create a giant trucking company with $5 billion in revenues and which will operate 23,000 tractors, 77,000 trailers, and will have 28,000 employees. With benefits of economies of scale, the two companies are expected to enjoy lower operating costs and higher profitability. Net Profit Margin is estimated by analysts to go up from 7.62% in FY2018 to 8.53% in FY2019 and 9.24% in FY2020. Note: The aberration in FY2017 earnings is due to tax credit. At the price of USD39.81 as at 30 May 2018, Knight-Swift Transportation Holdings Inc is trading at a Price to Sales Ratio of 1.9 times last 12 months sales. This is a 5.0% discount to its historical average Price to Sales Ratio of 2.0 times. At the price of USD39.81 as at 30 May 2018, Knight-Swift Transportation Holdings Inc is trading at a Price to Cash Flow Ratio of 14.1 times last 12 months cash flow. 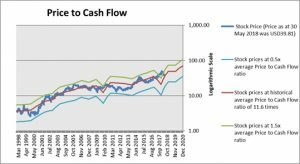 This is a 22% premium to its historical average Price to Cash Flow Ratio of 11.6 times. 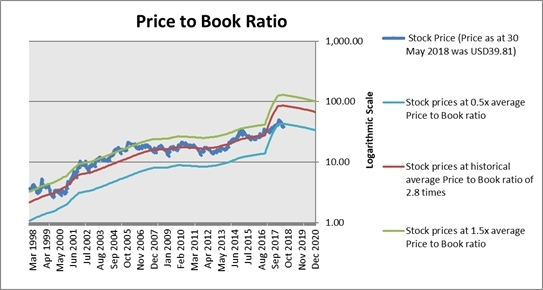 At the price of USD39.81 as at 30 May 2018, Knight-Swift Transportation Holdings Inc is trading at a Price to Book Ratio of 1.3 times current book value. This is a 54% discount to its historical average Price to Book Ratio of 2.8 times. 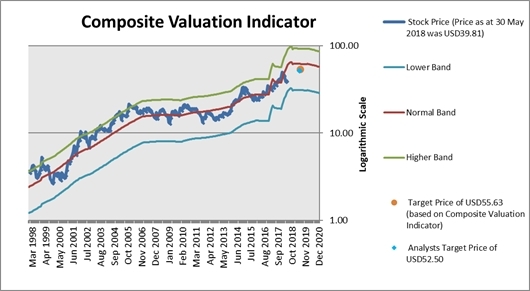 Based on the Composite Valuation Indicator, the stock has a Target Price of USD55.63 over the next 12 months. Our Target Price represents upside of 39.7% based on stock price of USD39.81 as at 30 May 2018. 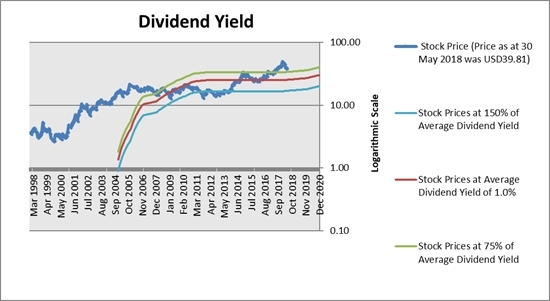 Since this is an ambitious target, investors may do well to take profit when stock price is up 25% from current values. We believe that Knight-Swift Transportation is a good stock with profit potential over the next 12 months. Our recommendation is based on the fact that earnings prospects look good with synergistic benefits of the merger. 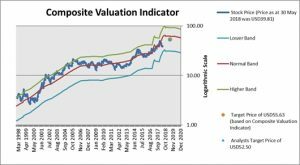 The stock also looks attractive on a valuation basis and we use a thorough valuation methodology that combines five valuation indicators in an optimal way to best explain the stock price.